UK Coastguard alerted the volunteer crew at 6.08pm yesterday evening (Thursday) following a report of a young male stuck on the cliffs east of Winterfield golf course. 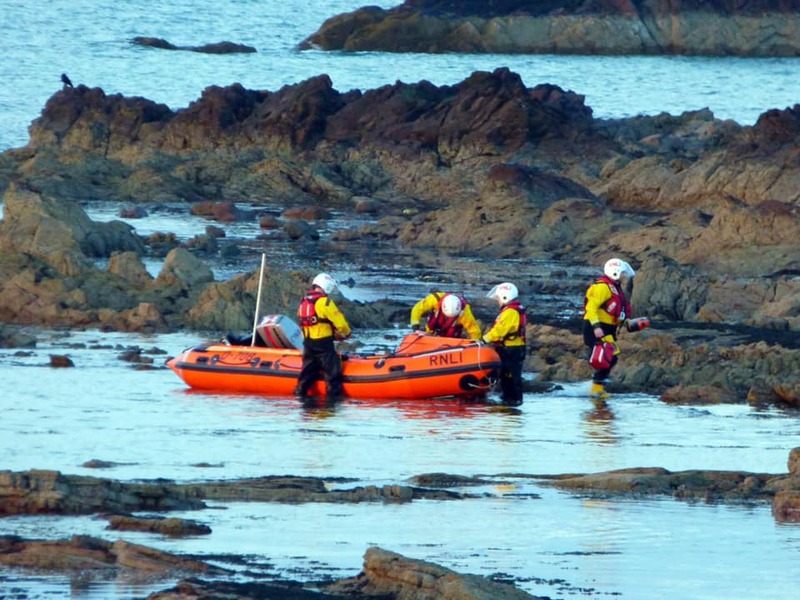 Three members of the crew were preparing the inshore lifeboat to launch on a regular training exercise when the pagers sounded so were in a position to rapidly launch the inshore lifeboat (ILB) at Dunbar Harbour. Within minutes the crew, joined by a fourth crewman, had located the casualty at the top of the cliffs close to Winterfield golf course. The casualty’s precarious position on soft ground towards the top of the cliff led to the decision to undertake recovery from above. 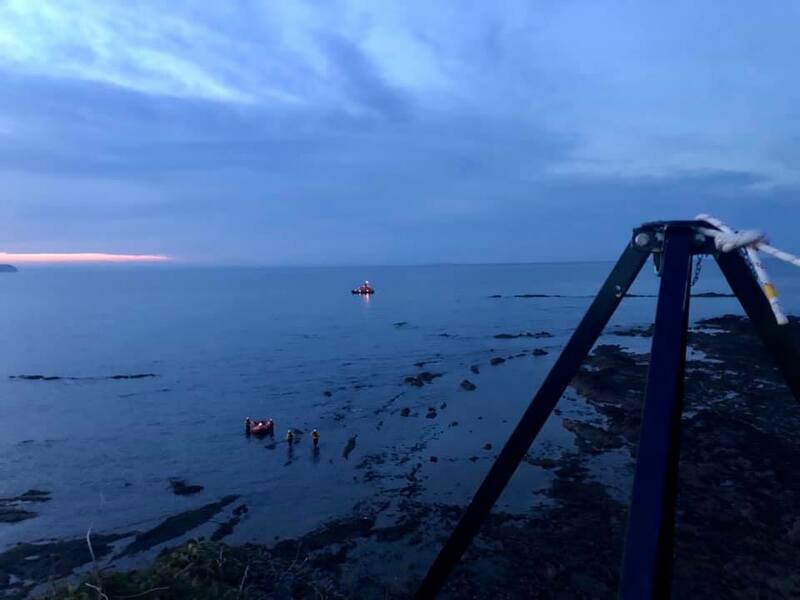 With Police Scotland now on scene the crew stood by to assist where necessary while Coastguard crew from Dunbar and North Berwick arrived to skilfully perform the recovery. At 7.06pm, following the safe recovery of the casualty, both lifeboats returned to their respective bases to be refuelled and prepped for continued service.